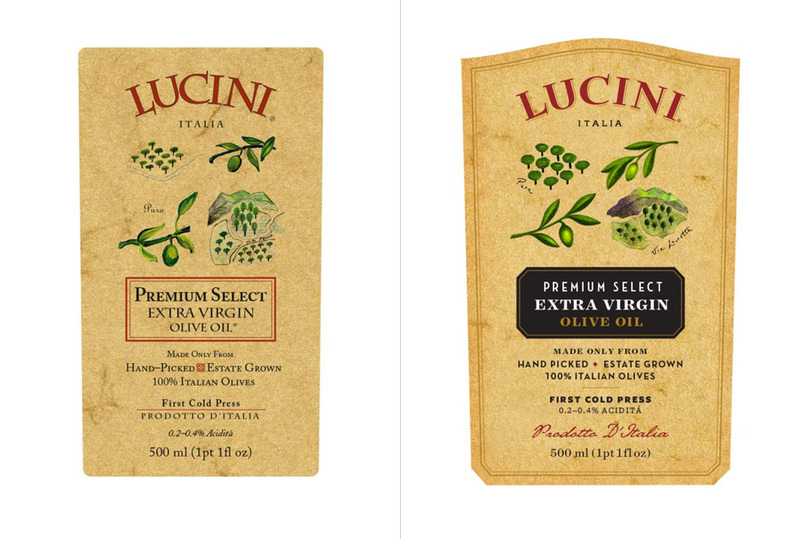 Extra virgin olive oil label, before and after. 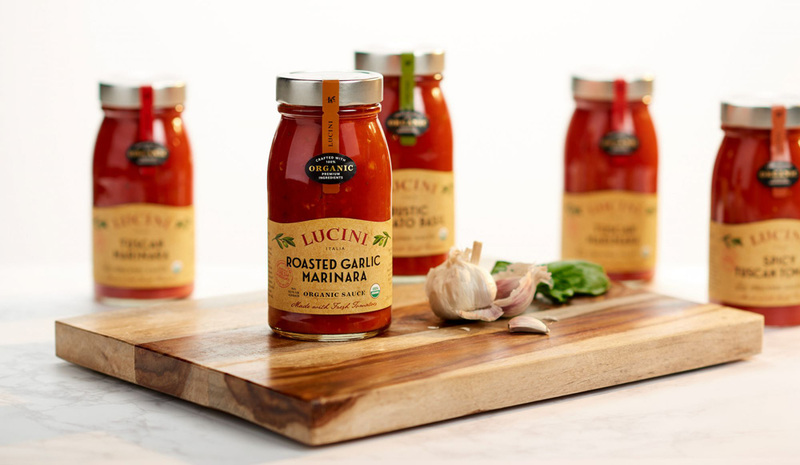 While both old and new logo and packaging operate within the rustic-mainstream-Italian aesthetic — and acknowledging that the redesign was meant to be an evolution — the new versions are infinitely better and more refined than their predecessors. 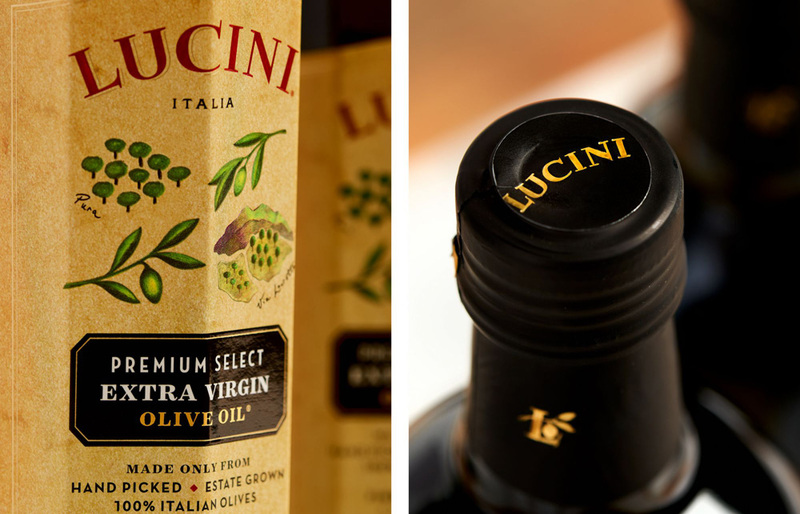 The new logo is more simple and crisp, especially in its spacing (and the new “ITALIA” looks great). The new packing improves in all respects, from the background parchment texture to the lovely new illustrations to all the typographic details. 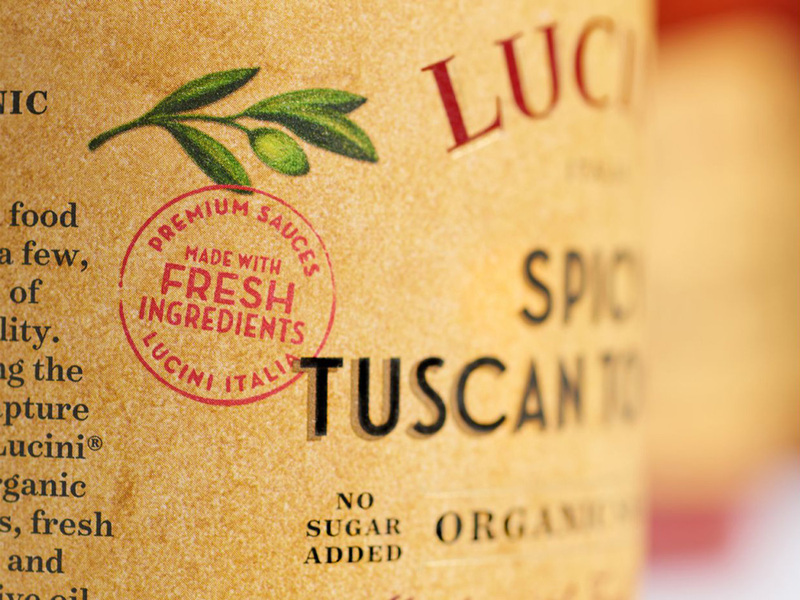 It’s also nice to see a product maintain its more ornate aesthetic instead of going for the trendy minimal look. (Est. 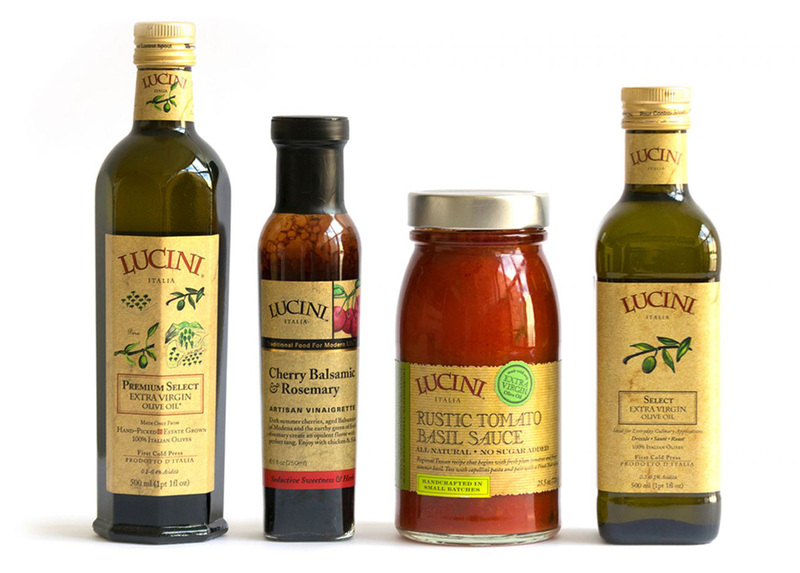 1997) \"Lucini Italia Company LLC produces and sells food products that include extra virgin olive oils, handcrafted vinegars, gourmet tomato and cheese sauces, artisan vinaigrettes, and organic tomatoes. 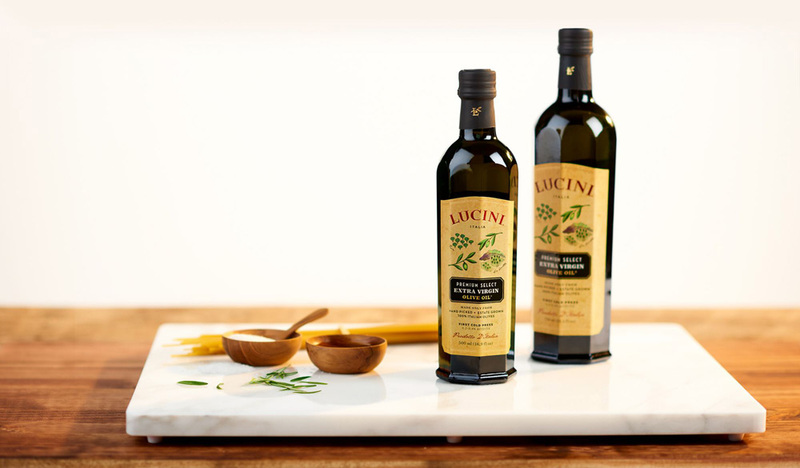 It also offers gifts that include Italian collection and infused balsamic collection. The company serves home and professional chefs. 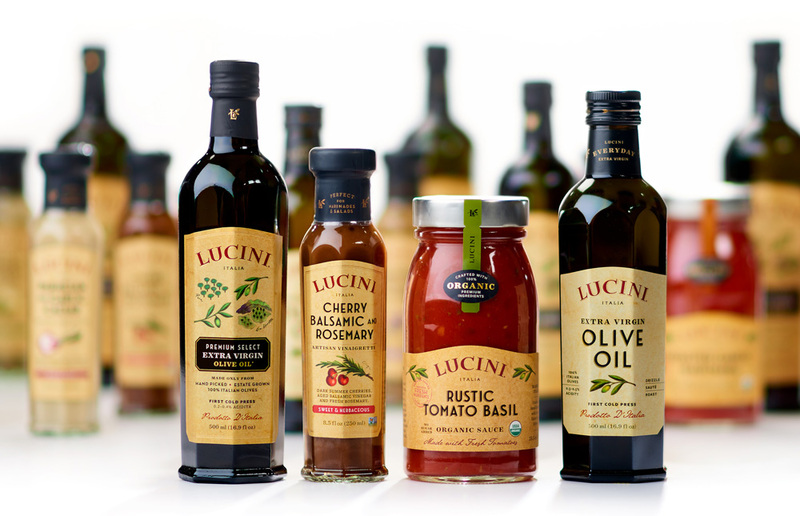 Its products are available at premium grocery and specialty food markets in the United States; and online through its partnership with WorldPantry.com, Inc. 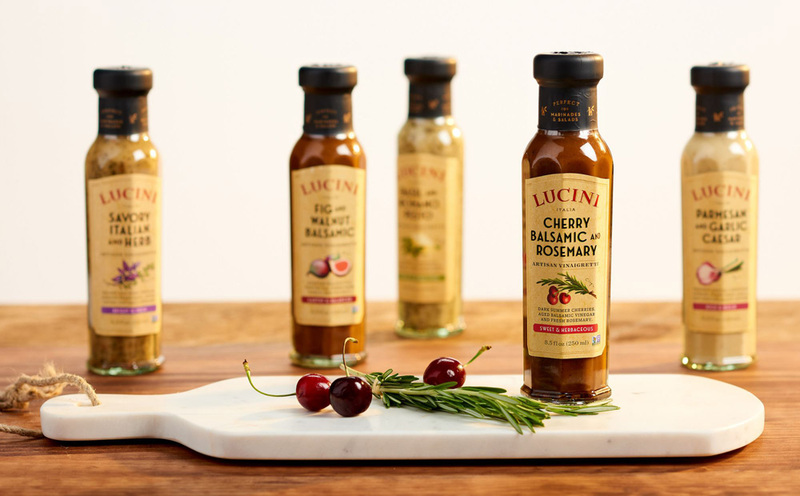 The company was founded in 1997 and is based in Chico, California.\"